This topic contains 0 replies, has 1 voice, and was last updated by Michael Horne 5 years, 2 months ago. 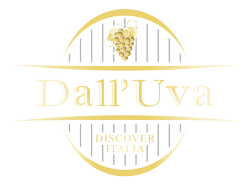 Malpensa tends to be the preferred Milan airport for flights from & to the USA, and if you’re planning to make a trip to see Piemonte Barolo & Barbaresco producers, odds are you’ll fly in here. Travelers flying into Malpensa often end up taking a trip into Milan, either to stay for a few days or to catch trains to another part of Italy. Since the airport is 30+ miles from downtown Milan, you should plan on it taking about an hour to make the trek once you get started. To get to Milan, you have three decent options to choose from. 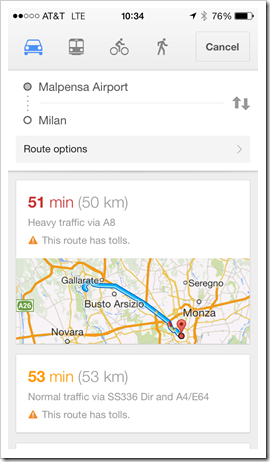 In the past the price of taking a taxi or private car from Malpensa to Milan varied wildly depending upon the ethics of the driver and the amount of traffic on the Autostrada. Those days are over, and all travelers are guaranteed a fixed, all-inclusive rate for taxi service from the airport to points within Milan. That said, a taxi is still the priciest option. Those who’d rather take the scenic route can take the Malpensa Express train, a relatively quick trip from Malpensa to the Milan central train station (Milano Centrale) and the Milano Cadorna train station. 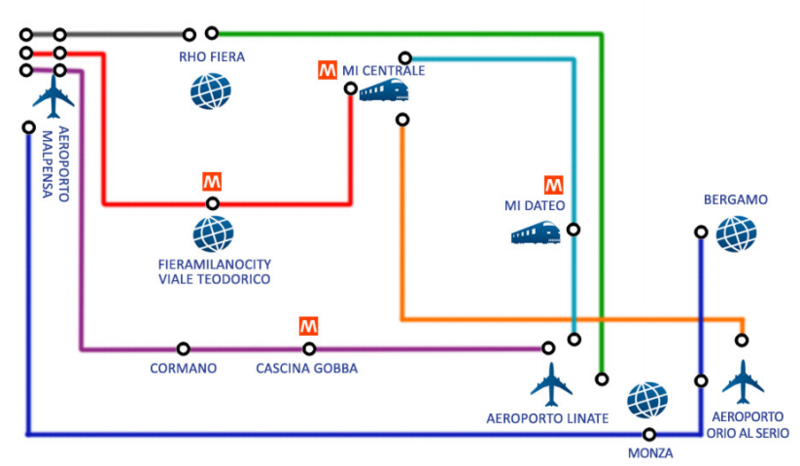 A third, more flexible and usually less expensive option is to take the Malpensa Shuttle bus. It can get bogged down in traffic just like a taxi, but you have more departures per hour to choose from, and they have some good early morning and late night departures. These days, all travelers are guaranteed by law to a fixed, all-inclusive rate for taxi service from Malepnsa to points within Milan. Upon arrival and exiting the Customs area, just follow the signs to the taxi stand outside the terminal at the Arrivals level. 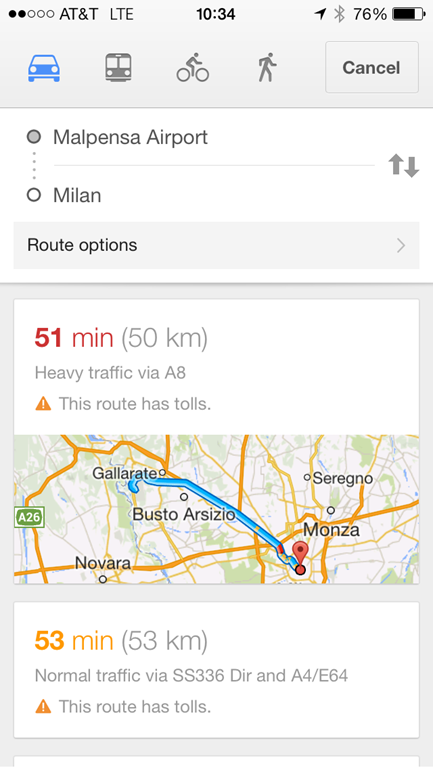 While the rates are fixed, a taxi is your most expensive way to get into Milan. 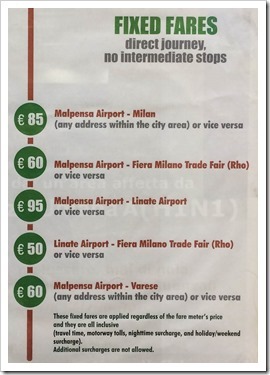 Note that these rates apply to both directions by law (from Malepensa to Milan, and from Milan to Malpensa) and includes all fees and regardless of what the meter says in the cab. The train service from Malpensa to Milan and back used to require a change at an intermediate station, but now there are direct trains that make it easy to get to the center of Milan. You’re dropped at either the Milano Centrale central train station, or the popular Milano Cadorna train station. There are usually 2 trains per hour and the trip takes about 50 minutes and costs €10 for a single adult ticket, or €25 for a family of 2 adults and 2 children. 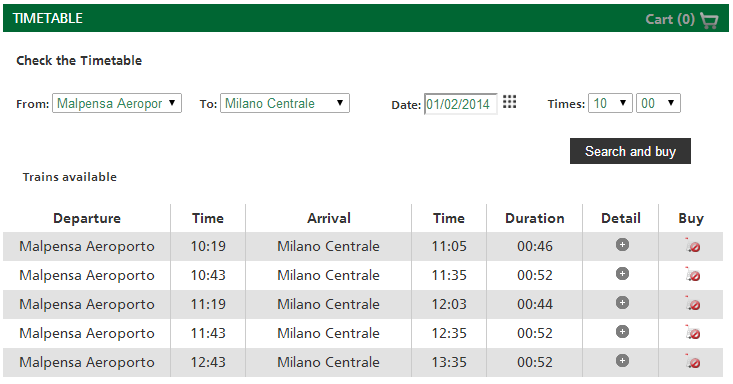 The first train starts around 5:30 AM, and the last train for Milan leaves around 12:30 AM. You can buy a ticket online, but it’s easier to just pick it up from one of the machines at the Malpensa Express train station or buy at the ticket desk. The desk agent will speak English. 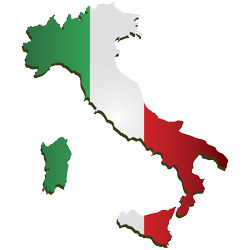 If you’re planning to train to other parts of Italy, you will want to take the Malpensa Express to Milano Centrale where you can transfer to other long-distance trains to Venice, Florence, Genoa, Rome, etc. I’m not a huge fan of bus travel in Italy, but it’s usually inexpensive, reasonably reliable, and can take you to more points within the city. If you’re heading to the center of Milan (Milano Centrale train station), I’d skip the bus and take the Malpensa Express train – it’s the same price and much more relaxing. Shuttle buses leave Malpensa every 20 minutes, giving you more options to get into the city center than the Malpensa Express train. 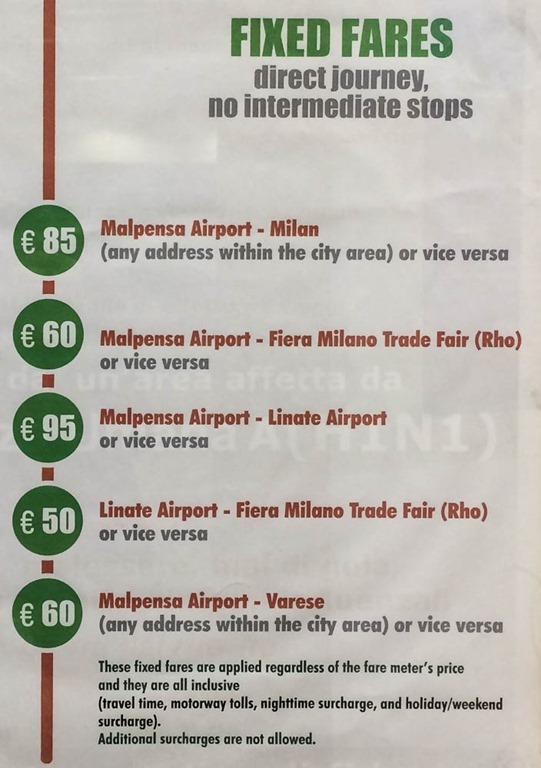 Tickets to Milano Centrale cost €10 for a single adult one-way, €5 for a child. Round-trip fares are €16 for an adult. See the full pricing schedule here. 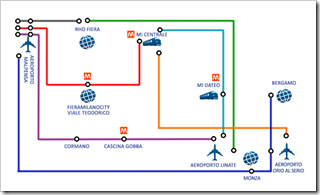 The first shuttle starts at 5:00 AM, and the last shuttle leaves Malpensa at 1:20 AM. 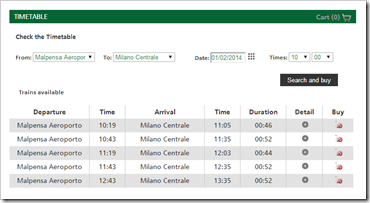 You can find the full bus schedule to/from Malpensa and Milan here. You can make a reservation online, but it’s really not necessary – just pick up a ticket at the bus kiosk in the terminal.